Yamaha announced its new DZR/DXS-XLF and CZR/CXS-XLF loudspeakers and subwoofers with extra processing power are now shipping. 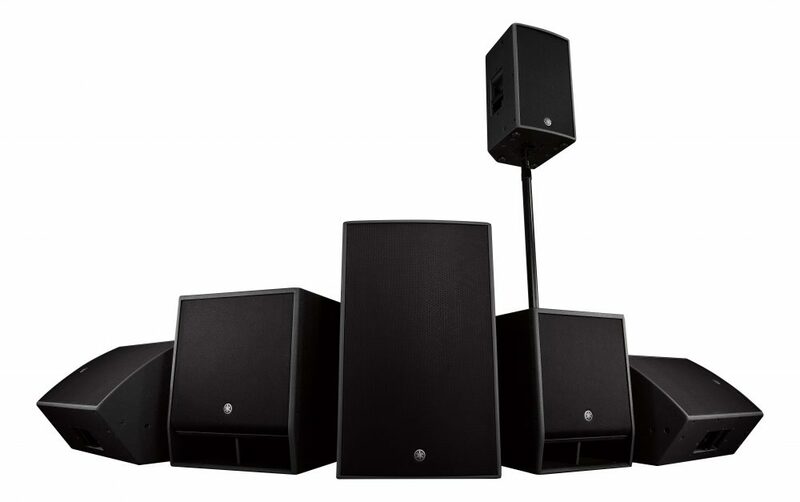 Yamaha announced that the company has begun shipment of the new lines of powered (DZR/DXS-XLF) and passive (CZR/CXS-XLF) loudspeakers and subwoofers, offering enhanced performance and professional sound quality. The DZR line of powered speakers, along with the DXS-XLF powered subwoofers, use high-performance components and the latest DSP to provide superior audio quality. The digital processing in all powered models – both speakers and subwoofers – is all done at 96kHz. This exceptionally high speed, combined with the newly developed Advanced FIR-X tuning technology, minimizes latency and phase distortion. The CZR series of passive speakers are ideal for those installations where power amplifiers are used remotely. Adding their companion CXS-XLF subwoofers will extend a sound system’s bottom end dramatically (down to 29Hz) for more bass-heavy applications, and like their powered counterparts, the CZR and CXS-XLF feature best-in-class SPL performance. When paired with Yamaha PX Series amplifiers or other compatible processors, the loudspeakers take full advantage of dedicated speaker processor tuning settings to produce DZR-quality sound. Every model in the new powered and passive speaker lines is housed in a lightweight, durable, 15mm-thick plywood cabinet, coated with military-grade polyurea to withstand the rigors of travel, handling and weather. The cabinets are equipped with plenty of flypoints, suitable for standard eyebolts and specialized U-brackets for convenient flying and hanging installation. This winter, the DZR and DXS series with Dante integration will be shipping. These models incorporate smart system integration with Yamaha Consoles and other Dante devices via a 2in/2out I/O configuration. Using the Analog I/O and the Dante break-IN and break-OUT capabilities inside these speakers makes flexible routing and system configuration options easy to set up. The new DZR/DXS-XLF and CZR/CXS-XLF lineup of loudspeakers and subwoofers are currently shipping. The Dante-integrated models will begin shipment in winter 2018.